Every week, ithlete will cover general questions on training and recovery, as well as specific best practices with Heart Rate Variability (HRV). If you have a general question or a specific question on how to use ithlete you can email ithlete.support@myithlete.com. 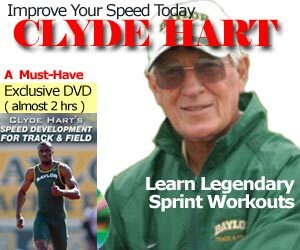 Q1 – SpeedEndurance.com: A lot of coaches use the term “stimulate” or “deplete”, what are examples of this type of training and how does one decide what to do. I am a 200m sprinter and sometimes do the 4 x 400m. Answer: Usually coaches use the term stimulate as a term to create an adaption with the minimal dose of work, while deplete is to challenge the body maximally, usually creating deep fatigue. 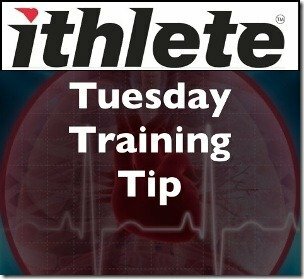 Ideally one would just do the minimal threshold of training to get results, but eventually everyone will stagnate and hit a plateau. When stimulating, most methods are less risky and very conservative in both method and volume/intensity. Depletion is more of a volume approach at the specific intensity required to elicit a deep rebound effect. Deciding when to use either approach or combination is more of a philosophical approach rather than something that is concrete in training theory. With any risk, the reward must be carefully weighted against other options, so depletion is not suggested unless one is an elite athlete and the training in the past was sound and well planned. Often plateaus are problems in training design, and improvements can be made without resorting to more aggressive methods. Most options for stimulating are brief but intense options such as 3 x 150m, but depletion work is closer to 6-8 of the same distance. Running the 4×400 volume via depletion may help with the conditioning needs, depending how important the relay performance is to your team and coach. Q2 – SpeedEndurance.com: I see there is a lot of research showing that HRV can be an effective training tool for endurance athletes, but does it work for speed & power athletes as well? After training, weightlifting performance of the subjects decreased below baseline in parallel with suppressed parasympathetic power (high-frequency [HF] HRV), whereas sympathetic power (normalized low-frequency HRV) was slightly elevated at 3 hours of recovery (p , 0.05). Both weightlifting performances and parasympathetic power returned to baseline values in 24 hours and further increased above baseline during 48–72 hours of recovery in a similar fashion (p , 0.05). Circulating DHEA-S level dropped at 24 hours (p , 0.05) and returned to normal values by 48 hours. Muscle pain increased at 3 hours after training and remained higher than baseline values for the 72-hour recovery period (p , 0.05). Our data suggest that parasympathetic power, indicated by HF HRV, is able to reflect the recovery status of weightlifters after training. The autonomic nervous system is comprised of the Sympathetic division (elevated in response to stress, aka ‘fight or flight’) and Parasympathetic division (facilitates recovery, aka ‘rest and digest’). “Suppressed parasympathetic power” simply is referring to the predominance of the sympathetic branch of the ANS due to high stress caused by the intense training session. Once the sympathetic activity is reduced and parasympathetic activity returns to baseline levels, the athlete is ready to handle and adapt to further stress. This is what makes monitoring HRV so valuable. It tell’s you when you’re body has recovered from stress (training). This allows you to better plan your daily training loads/volumes.